Students of Galoa Island Primary School who live on Yaqaga Island in Bua will have their own school from next year. This is after Prime Minister, Voreqe Bainimarama heard of the struggles the students go through to get to school each week. Galoa Island’s Primary School Head Teacher Rishi Ram says students from Yaqaga make up the most numbers of their Kindergarten and the school. Ram says these students are all borders, coming in on Sunday evenings and leaving on Friday afternoons. He says last week none of the students from Yaqaga attended school because of the current windy weather condition. 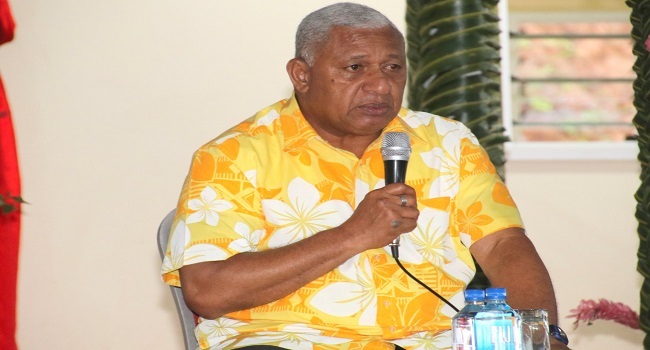 Bainimarama approved for the construction of an Early Childhood Education classroom as well as an infant school, to ease the risk for the younger students.